Mother’s Day – Greater Houston Orthodontics wants to shout out a great big, huge, humongous THANK YOU to Moms everywhere. Mother’s Day falls on Sunday, May 14th this year. So Dads…do not plan any golf that day and kids…do not plan a movie with your friends. Plan on spending the day doing whatever it is that Mom wants to do. Serving her breakfast in bed is always nice but wait until she is awake first. Flowers and homemade cards are also always a big hit so do not forget those. 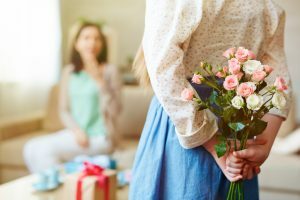 The Doctors and Team at Greater Houston Orthodontics in our Memorial and West University offices would like to make sure that Mom’s know how much they are appreciated. They usually have to work around their own schedule and the schedule of their kids as well in order to set appointments with us. We want to make sure that you Moms are recognized for your efforts and love. Moms are truly the guardian angels that make good things happen. So, Happy Mother’s Day to all of you great Moms.